Susan and Michael Schofield have no letup in their grueling day –- 11-year-old Jani is one of the youngest children ever to be treated for schizophrenia, and now her 6-year-old brother Bodhi, though not officially diagnosed with the same disorder, has violent outbursts and self-harming behavior that suggest he might also have the disease. Their son has been diagnosed with severe autism and intermittent explosive disorder and has had five hospitalizations at a UCLA psychiatric facility this year, his parents said. Maybe, if the family lived in Syria, it would be worse? This family was on Dr. Phil a while back. It was a good episode and can be found on Youtube. 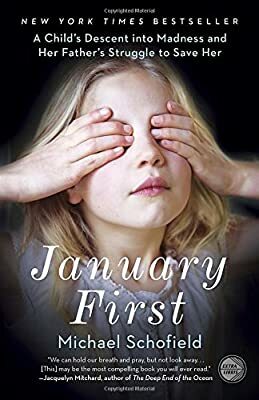 The father wrote a book titled “January First” about his daughter’s illness. My girlfriend read it and said it was good. I’m sure there are many similar situations in Syria that we’ll never hear about. Sadly. And treatment options are much fewer and far between. Jani starts Junior High in September. I feel old. The thing that stood out to me was her parents are from L.A.!! !